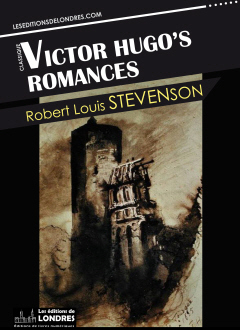 Victor Hugo's Romances is a short essay from the compilation “Familiar studies of men and books”. “Victor Hugo's Romances” was first published in Cornhill magazine in August 1874. Hugo's Romances.—This is an instance of the “point of view.” The five romances studied with a different purpose might have given different results, even with a critic so warmly interested in their favour. The great contemporary master of wordmanship, and indeed of all literary arts and technicalities, had not unnaturally dazzled a beginner. But it is best to dwell on merits, for it is these that are most often overlooked.